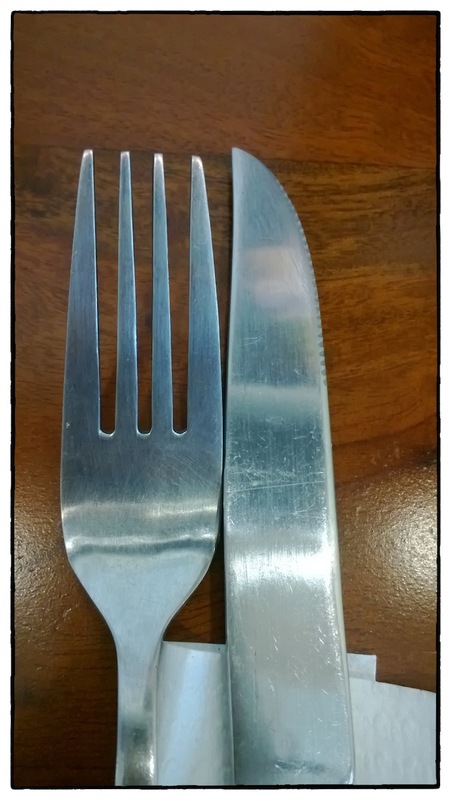 Fork and Knife. Usually, I used fork and spoon. This time I use fork and knife. Can you guess what kind of food I eat?